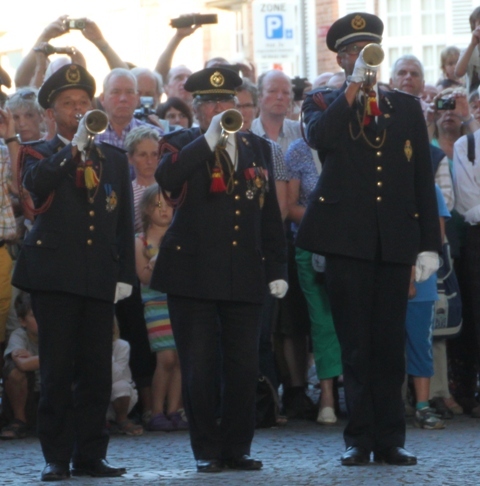 At 8pm every night since 1928 – with the exception of the German occupation in World War 2 – buglers from the fire brigade of Ypres have stopped the traffic and performed a simple act of remembrance at the Menin Gate. 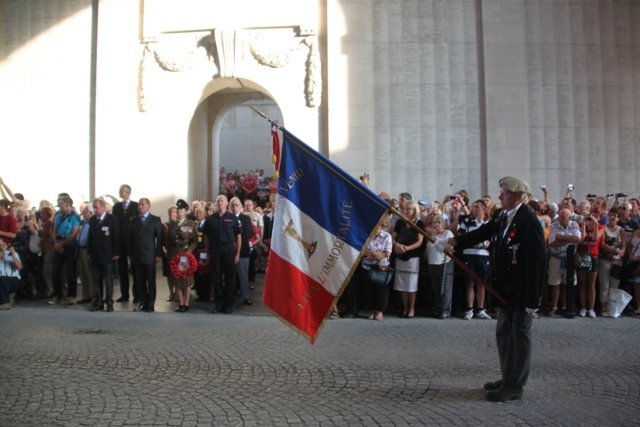 It is their tribute to those who gave their lives in World War 1 to secure Belgium’s freedom. 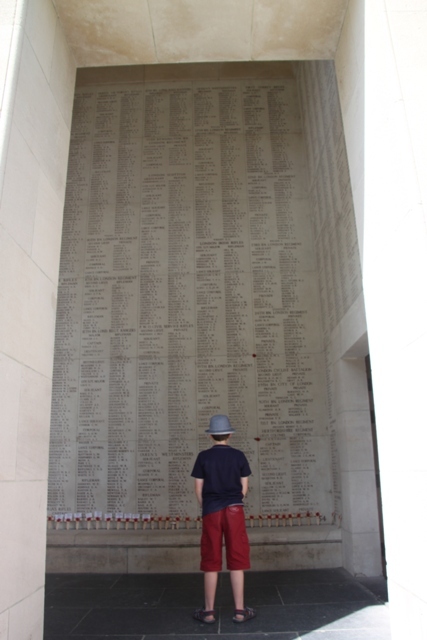 A sombre and extraordinary experience that we had the privilege to see. 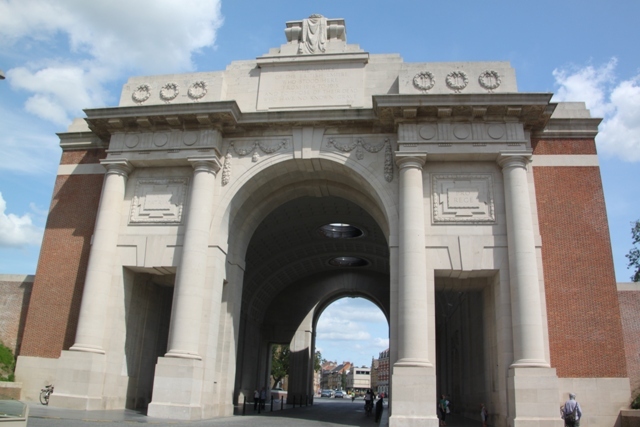 The Menin Gate is the most famous Commonwealth war memorial in Flanders, perhaps the world. Tens of thousands of soldiers passed through here on their way to the front. Many never returned. 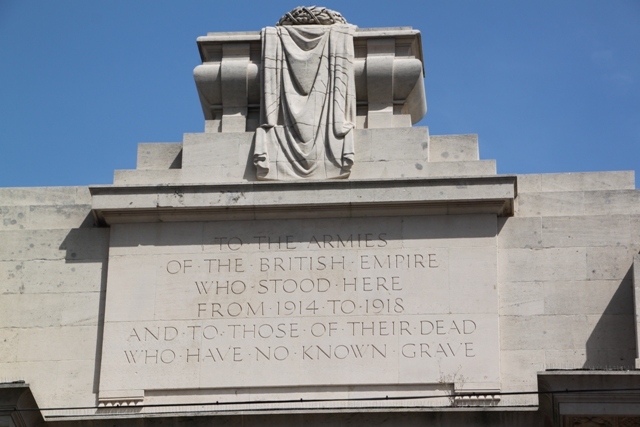 Opened in 1927 the memorial bears the names of 54,896 soldiers reported missing in the Ypres Salient between the outbreak of war and 15 August 1917. 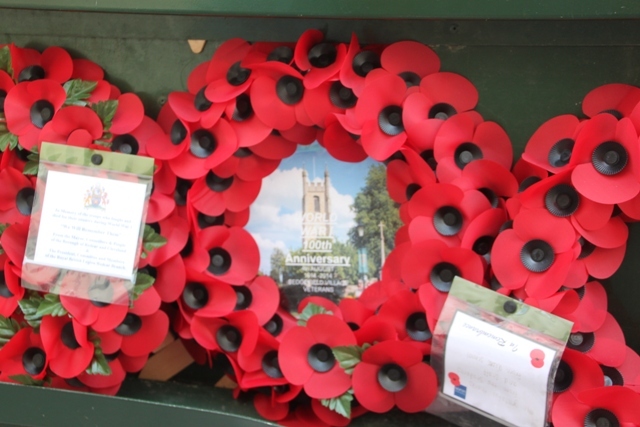 It was built to provide for those who had nowhere else to lay a token of remembrance. We arrived 1.5 hours early for the ceremony. 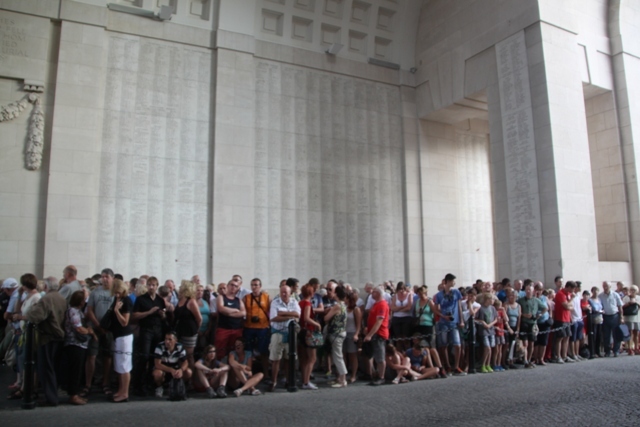 Sometimes there are just a few spectators, other times, like when we visited in summer there were hundreds of people. Irrespective of numbers this would always be a moving and unique experience. We staked out a piece of pavement, the whole place was pretty empty when we got there but by 7.15 it was completely packed. At 8pm the traffic was stopped, the buglers played the Last Post and the flag was lowered. 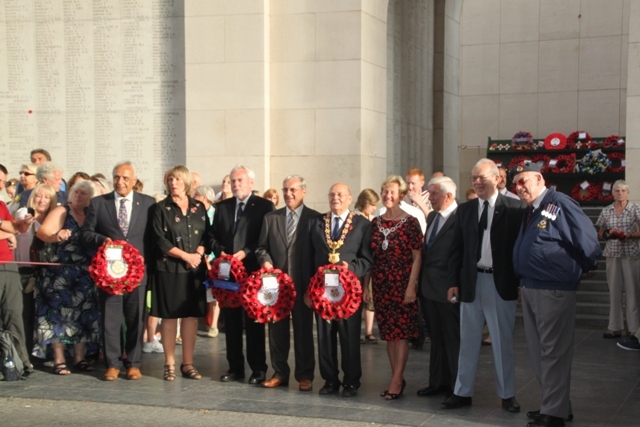 The Tribute to the Fallen was read out and a short wreath laying ceremony took place. Two minutes silence then the Reveille was played signifying the end. People filed away in complete silence. This simple ceremony had an extra-ordinary effect on us and I think, everyone else. Moving and a wonderful thing to see. 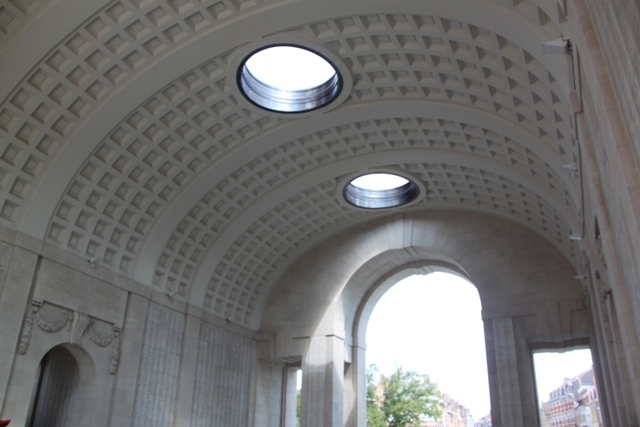 The only slight sour note was as we walked away from the Menin Gate. Street vendors had set up a series of makeshift stalls in the streets around the memorial and were looking to flog war related souvenirs to those departing the ceremony. It just didn’t feel right. Amazing photos and article. Thank you for sharing. Thank you!! I will do. That must have been such a great experience. We were blown away by the ceremony, to actually take part would be very special! 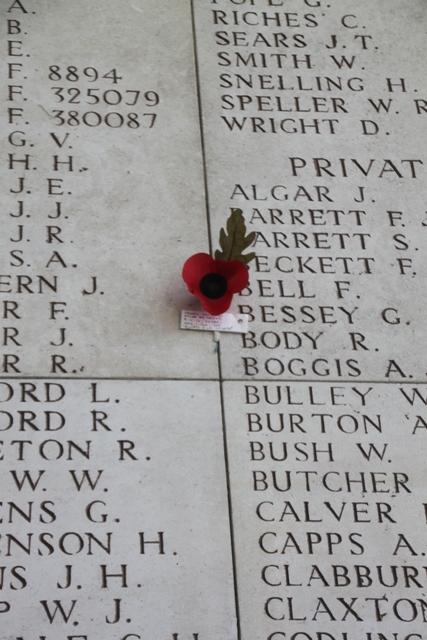 I have a number of family members commemorated on the Menin Gate. I really ought to go there with the kids some time. I imagine it is quite staggering and moving to see all those names. It’s wonderful that their sacrifice is still being commemorated a century on. It was one of the most moving things I have ever witnessed Laura, I can’t imagine what it would be like if you have family names on that memorial. The simplicity of the ceremony and the dedication of the Belgian people to keep it going every day no matter what is just incredible. Thank you so much for those comments!! This is another of those very special places, it made quite the impression on us. It is always moving to see those being remembered who have walked so long before us. I feel these kind of things are important to remind us of our own immortality and to reflect upon what kind of mark will we leave on the earth when we move on. I completely agree, this remembrance ceremony was also special as they have been doing it no matter what at the same time every night for all those years. Incredible and so important. So true, I read about it and knew what to expect, somehow though just seeing all those names everywhere on the memorial really hits home. Joy, I am sure that was so moving to witness in person! The photos captured the somber mood! Thanks for sharing! 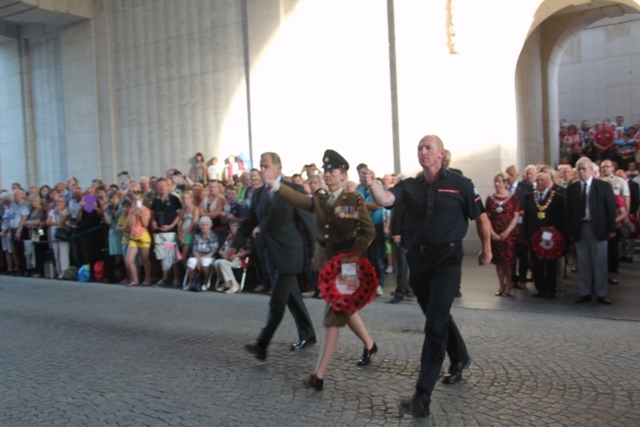 It was wonderful Pam, the dedication of the Belgian people to keep this going and the ceremony itself was so moving. An unforgettable experience. What a moving tribute Joy and how incredible that this ceremony has been performed every night for so many years. Your photos have really helped to capture the experience too! It was so wonderful to be there Rosemary, like you say the dedication of the Belgian people to do this night after night no matter what is quite incredible. We felt very moved and very humbled by being there. I was moved reading your narrative and viewing your images! I probably would have been choking back tears had I been there. Great blog today! 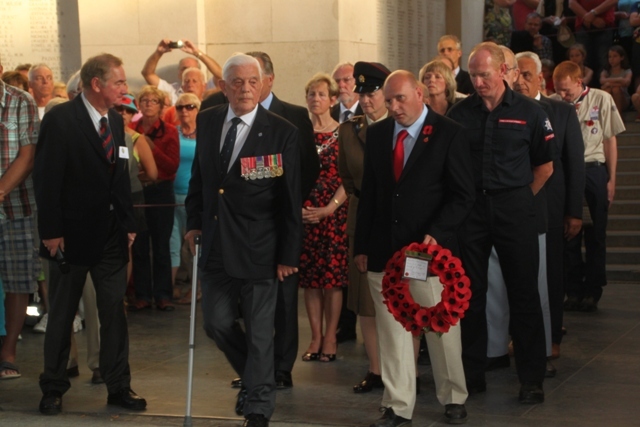 It’s a very special thing to witness, so moving and memorable, we felt privileged to be there.